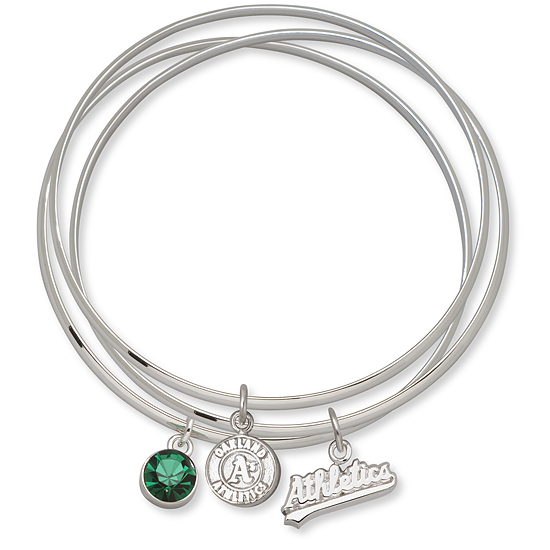 Oakland A's set of three silver-plated brass bangle bracelets comes with three charms: a team word mark charm, team logo charm, and green Preciosa crystal. Opening of bangles is 2.5 inches. Bracelets are packaged in cardboard box with clear window and come with a leatherette pouch for protection. Available while supplies last. Import.